When it comes to washing your clothes often times you assume that nothing will go wrong. In fact, most washers are made to last, but even LG, Maytag, Whirlpool washing machine the best-kept plans can break down through wear and tear; or an accident could knock something loose and therefore cause issues that would require washing machine repair. Some people prefer to try and fix things on their own, and that’s when bigger problems emerge, as the average homeowner doesn’t have the experience and know how that an expert might have. Instead of waiting for the problems to arise to a point where you need a whole new appliance, it’s important to call an appliance repair pro to get things fixed. We are reachable via both email info@appliance-medic.com and telephone for NY: 845-617-1111, so if you’re interested in repairing or even maintaining your washing machine please don’t delay to drop us a line. We have already handled washing machine repair jobs of all of the sorts and never use anything at all but the best washing machine repair parts and methods. Most often there are signs that you need to look for in order to understand that there is something going wrong with the machine. Some things are really obvious, especially when the clothing is not getting as clean as one would like. This is an obvious sign that the wash cycles are malfunctioning, and that can be an issue that needs some tweaking on the inside. It’s important to always double check to make sure that clothes are in tiptop shape and are being cleaned properly. Without this check, the malfunction could end up surprising you. Some dysfunctions can be hard to tell if the washing machine broke in need of washing machine repair. For instance, if you hear noises during the cycle, that is a sign that something is loose or not working properly. Do not wait for it to get louder or for something to break. Any noises, breaks, leaks, and much more should be taken seriously at first glance. When calling a professional you will be able to explain the issue and they can see what bigger problem the symptom is trying to convey. This is much the same as a medical doctor diagnosing symptoms of a larger medical degree. Don’t skimp here, it’s important to make sure that at the first sign of an issue, you call Appliance Medic. Washing machines are made to last. However, life can bring a variety of issues to the forefront and even wear and tear can cause detriment to the overall appliances that you own. Sometimes it’s not even the machine that causes the issue, it could be the connection point to the water, or the power. There are so many variables to consider that it really is an important thing to have the number of a repair service ready to call, just in case. There’s nothing wrong with being prepared for just about any event. Professional diagnosis is important when performing washing machine repairs. When you call in an expert for the washer you will be saving money in the long run. You’ll be able to get a lot more out of your appliances rather than having to replace them every few years. The cost of repairs is so much easier to manage than it would cost to purchase new appliances every few years when things go wrong. Remember, no matter how small the changes are in the cycle of washing clothes, you need to be vigilant in regards to repair and maintenance. Don’t go at it alone, there are experts waiting to help you out with quality washing machine repair. Appliance Medic, Inc. makes the effort to keep your Maytag whirlpool appliance working and has the ability to provide our clients with free appraisals with the repair so you can make a well-informed decision on exactly how to repair your washing machine problems. We even offer a 1 year warranty on labor as well as washing machine repair parts that were installed. If a not working or inoperative washing machine has been literally making your life a lot more challenging, please do not delay to seek solutions from our specialists. We bring our passion with regard to our work and respect for our clients to each and every job. 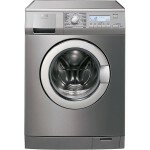 We do specialize in lg washer repair.